You'll find this founding father making a statement for your fashion independence. 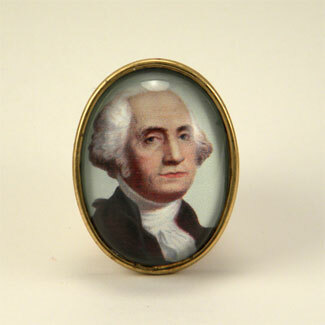 Make everyday President's Day, how can your wardrobe be without George. Cabochon measures 30x40mm and is set in a brass setting. Image is protected and enhanced by a large acrylic cabochon.